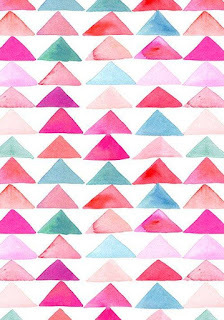 It’s time for a new Pinterest Inspired Challenge! Thanks so much for all your entries last month! We loved to see all your creations! How to play along? 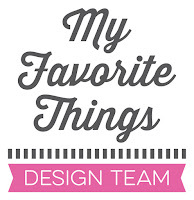 Our Design Team members bring a Pinterest image each month for your inspiration. Your projects can be created based on colors, patterns, shapes, design, etc. There is no limit on how you get inspired. Feel free! It’s up to you! Just have fun! I got inspired by the design, the colors and the watercoloring!!! 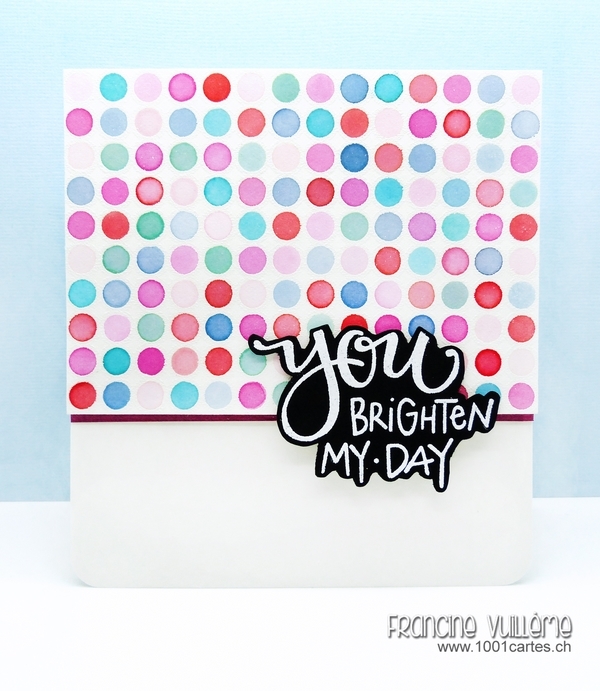 First, I white heat embossed the background with the "Simply Circles Background" stamp from My Favorite Things. Then I watercolored the circles with Distress inks: Spun Sugar, Picked Raspberry, Barn Door, Evergreen Bough, Peacock Feather and Faded Jeans. The sentiment is from a Technique Tuesday set called "Hello Sunshine"! It’s one of my favorite sentiment! Our sponsor this month is The Alley Way Stamps and you can win the "Fly By" stamp set! You can enter your projects until September 25th (11:55pm EST). Check out the PIC blog for more information and inspiration from the Design Team. Love this! Great take for the challenge. WOW, and WOW again - what an amazingly awesome take on that inspiration!! You have done a wonderful job!! Your card is delightful! !